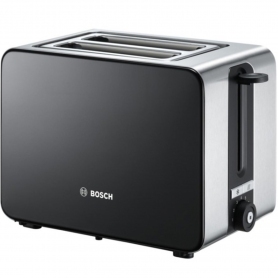 The Bosch TAT7203GB is a 1050 W, two slice toaster. It has a sleek, modern black design with a stainless steel finish, and at 18.4 x 15.5 x 29.2 cm will fit into the busiest of kitchens. 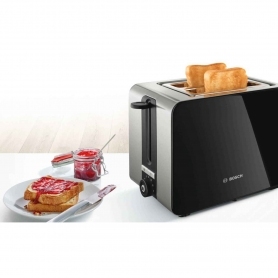 This Bosch Sky Toaster features a variable heat setting, so you can have your toast as browned as you like – perfect for families who like their toast in different ways. 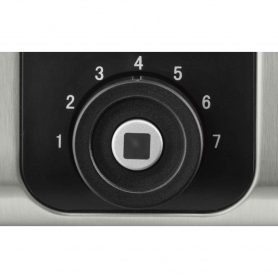 Simply twist the dial to your preferred level, and get grilling. The TAT7203GB comes with a range of other settings too. 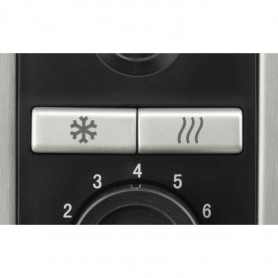 If you’ve ever accidentally left your toast in the slot to go cold, then the handy reheat setting is for you. Or, thaw out frozen bread with the defrost setting – this gives you the option to store bread in your freezer, and have it ready when you need it. 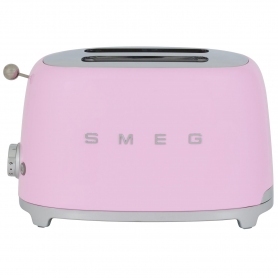 Bread is also kept centred and held in place by the TAT7203GB’s two slots. 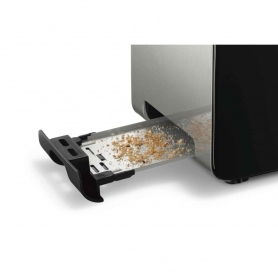 This helps to ensure that each slice is toasted evenly, with just the right amount of crunch in each bite. If you make the mistake of putting your toast in for too long, the cancel button means you can pop it back out as soon as you’d like – scraping away at burnt and blackened bits will be a thing of the past. 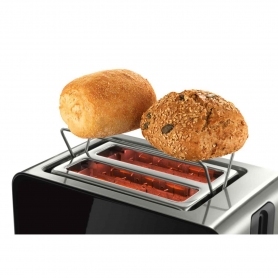 A removable crumb tray helps you to clean out the contents of your toaster with no mess and no fuss. Simply slide the tray out from the base of the TAT7203GB and brush any crumbs or dust into the bin. This Bosch toaster also features a useful cord storage space to help keep your kitchen counters tidy and free from clutter. 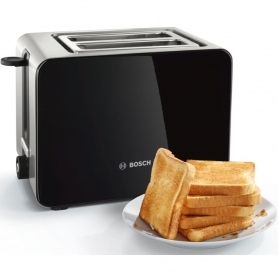 A modern, stylish toaster with an array of features, the Bosch Sky TAT7203GB will suit any kitchen. Order yours today.